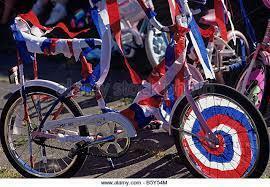 Bike It Breakfast and Bling your Bike for the Queen! 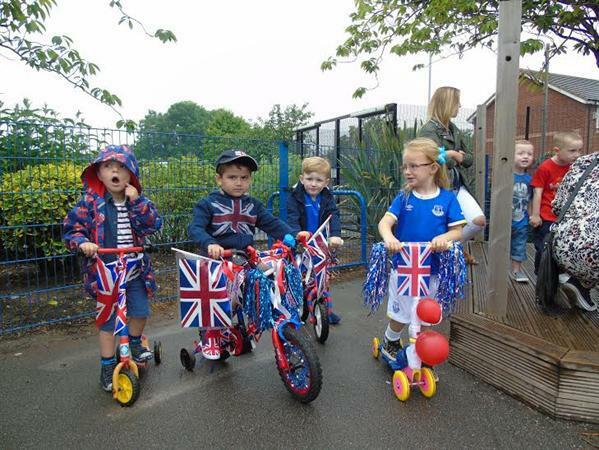 We had a terrific Day on Friday as we celebrated the Queen's 90th birthday and everything good about Britain! As we knew, the drizzly weather refused to spoil the day and our parents turned up in great numbers (as usual) to support us. 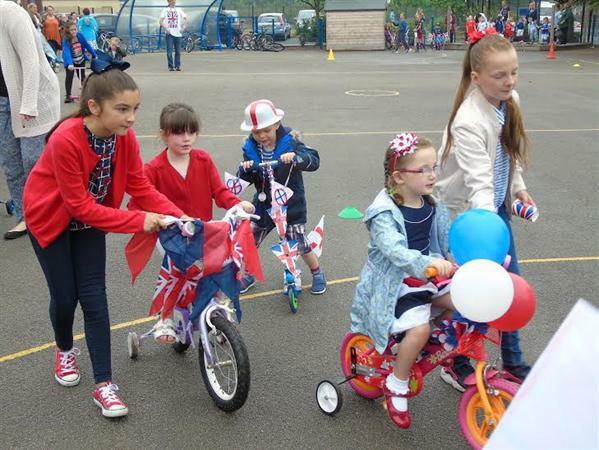 We had a super turn out in the hall for our Bike it Breakfast and then we spent some time celebrating the children's red, white and blue decorated bikes out on the yard with our 'Bling your bike' parade. A big thank you to Mrs McGlynn and our Bike it Crew pupils for organising the event.